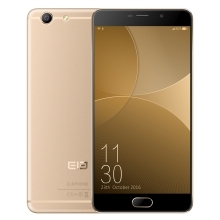 ElE Elephone R9 smartphone has Android 6.0 deca core CPU . The product has dual cameras. 5.5" 1080 * 1920px capacitive multi-touch touch screen, quite sensitive. 2GB RAM 16 GB ROM. Android 6.0 OS deca core CPU. CNC metal body and 0.6mm ultra-narrow bezel. Support OTG, WIFI, Ebook, Email, Messaging, Wallpapers, Calendar, Calculator, Clock, etc. English, French, Italian, German, Japanese, etc. Other Features WIFI, Ebook, Email, Messaging, Wallpapers, Calendar, Calculator, Clock, etc.